If you want beautiful, thoughtfully executed wood furniture, cabinets, or architectural elements in your life, SAWN can help. Our work is to enrich and fit seamlessly into your everyday life like you never knew furniture could, whether it's kitchen cabinets, a dining table, or a walk in closet. We take pride in the details to make your piece feel unique and whole, with artisan level quality. Elevate your day to day. 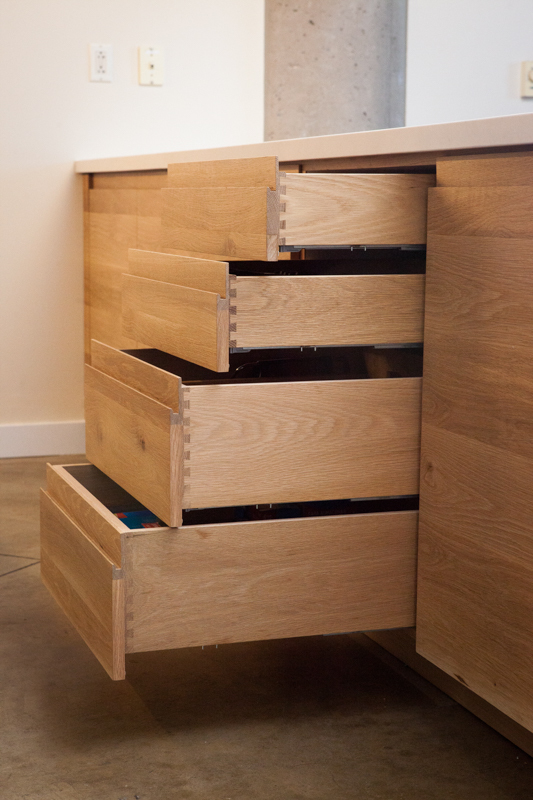 We work with you to create intuitive and functional storage solutions that streamline and simplify your daily routines. Your home is special to you, and when you work with SAWN you have the option to add unique finishes and effects to your furnishings. Our pieces are built to stand the test of time with the best hardware, strong construction, and durable finishes.